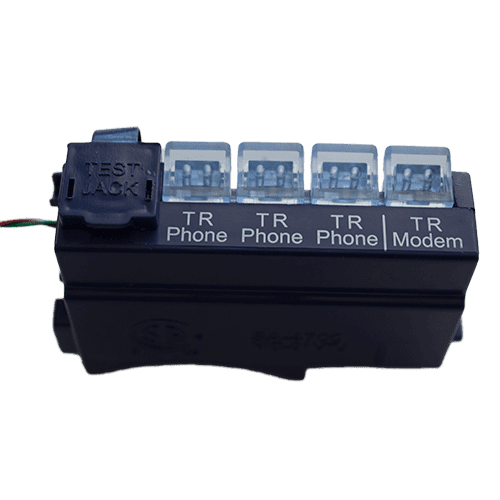 The NID01V-TJ is designed for simple and easy clip-in installation in virtually all industry standard NIDs, allowing for the continued use of existing infrastructure while upgrading to VDSL2 standards. The NID01V-TJ is a full VDSL2 POTS splitter, backward compatible to ADSL2+ and ADSL. 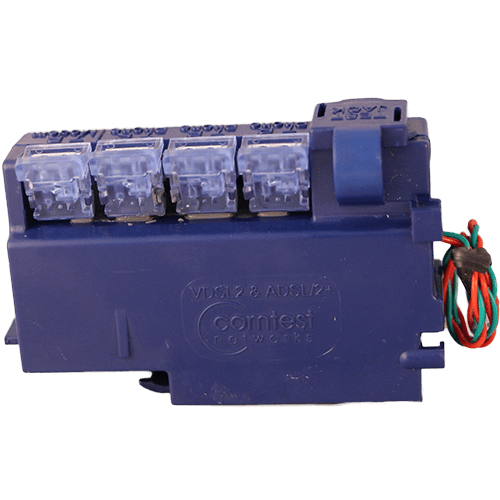 With a potted cavity and gel filled IDC connectors, this splitter is suitable for all applications, from the NID outside the house to inside wiring closets in apartments. The Splitter is environmentally sealed against the elements. This, in cooperation with the gel filled IDCs, protects against the risk of corrosion or failure caused by nicked wires during stripping. 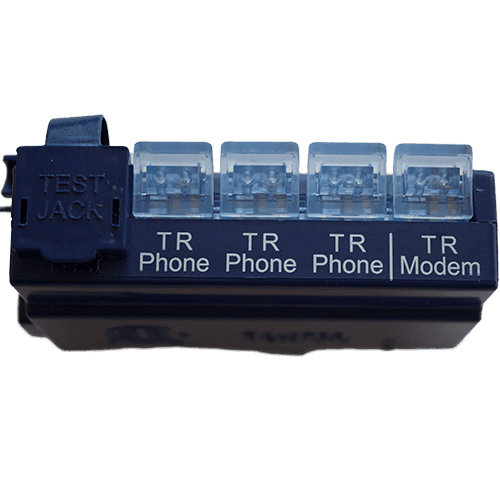 A RJ-11 test jack is provided to validate dial tone on the primary phone line. 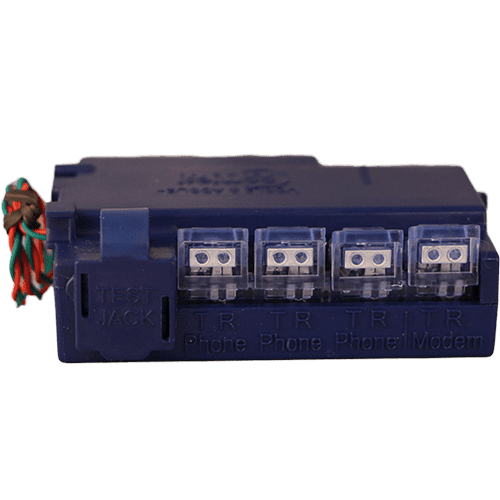 A feature unique to the NID-01VTJ includes the addition of secondary surge protection, guarding the Splitter against lightning strikes and power crosses. This added measure reduces weather related failures and service calls, while offering additional protection of the equipment in the house. Communications Interface Gel-filled Insulation Displacement Connectors (22AWG to 26AWG solid conductor type) for Phone Out (three connections) and Modem Out. RJ-11 connection for Test Jack. Local Loop via twisted pair.